Most institutions, with the exception of a few community colleges, require incoming students to have a high school diploma. Furthermore, many institutions also require incoming students to submit their SAT or ACT scores. Adults who haven't yet completed high school can take one of three equivalency exams to earn their diplomas, but check with your prospective institution before signing up for the ACT or SAT; it may not be required. Furthermore, if you are hoping to start school with a few credits under your belt, consider signing taking CLEP tests. In order to be accepted to most postsecondary institutions, students are required to show that they have earned a high school diploma. If you never completed high school, there are three options for you to earn the equivalent of your diploma. The high school equivalency exam offerings differ in each state, but you may be able to take the GED, HiSET, and/or the TASC Test. Depending on how long you've been out of school and whether you’ve attended college before, you may not be required to submit any standardized test scores for admission. But, if your prospective school does require scores and you haven't taken a standardized test in over five years, you will probably be asked to retake the test since both the SAT and ACT are frequently revised. If you have substantial college-level knowledge in one of over 33 classroom subjects, you could consider taking a CLEP test. 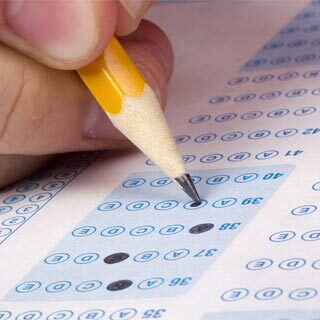 A passing score on a CLEP test may result in college credit or the ability to skip lower-level college classes. Before paying for an exam, make sure that your prospective institution accepts and rewards passing CLEP scores in the subject(s) you're considering.